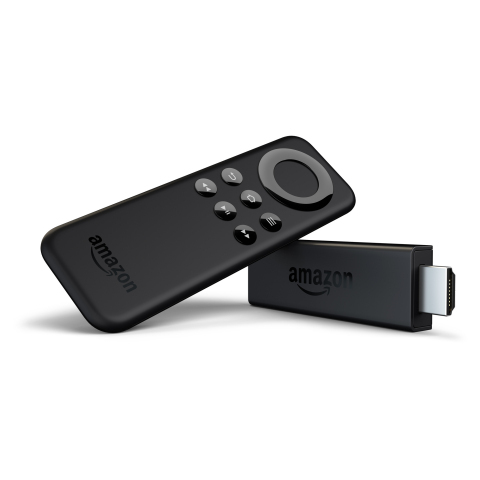 SEATTLE--(BUSINESS WIRE)--(NASDAQ: AMZN)—Less than seven months ago, Amazon introduced Amazon Fire TV, and it quickly became the best-selling streaming media box on Amazon. Today, Amazon is bringing the same experience customers love about Amazon Fire TV—ease of use, great performance, and vast selection—to a smaller and even more affordable device. Introducing Fire TV Stick, a small stick that connects to the HDMI port on your HDTV for instant access to movies, TV shows, music, photos, apps, and games. Fire TV Stick is just $39 and is available for pre-order starting today at www.amazon.com/fire-tv-stick and will ship November 19. As a thank you to new and existing Prime members, Fire TV Stick is available for two days only for just $19 on Amazon.com.